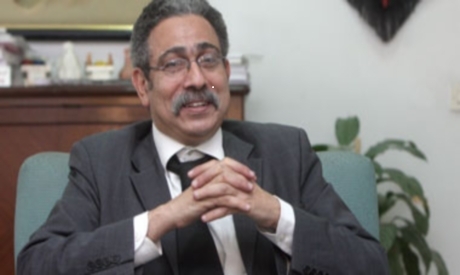 The choice of Emad Abou-Ghazi as head of the Ministry of Culture in the caretaker cabinet of Essam Sharaf was received with a warm welcome from many Egyptian intellectuals, especially that his name was mentioned by intellectuals who rejected Mohamed El-Sawy, the previous minister in Ahmed Shafik’s cabinet that resigned Thursday. Supporters of Abou-Ghazi spoke of his patriotic stances, referring to “his articles that reflected a strong stance towards freedom and democracy", and considering him "a son of the Egyptian patriotic movement who never hesitated to pay with his own freedom, where he was subject to prison because of his political ideals". In addition, Abou-Ghazi’s experience as an authority in the Ministry of Culture means he can manage its affairs and is trusted with its money. Supporters testify to his fairness, honesty and complete disconnect with the old regime. Abou-Ghazi wasn’t a surprise choice. He has been assistant to former Secretary General for the Supreme Council for Culture Gaber Asfour for 10 years, with responsibility of overseeing the cultural committees of the council. Then Abou-Ghazi himself was secretary general for nearly two years. He is the son of art critic and thinker Bader El-Den Abou-Ghazi (1920-1982) who was minister of culture in Egypt between 1970 and 1971. He is also the decendant of a family of intellectuals and artists, including the famous Egyptian sculptor Mahmoud Mokhtar, who was his father’s uncle. Apart from family heritage, Abou-Ghazi carries scientific credentials that equip him for this esteemed position. He graduated from the Faculty of Arts at Cairo University as a history major, receiving his Masters and PhD in the field of archives in 1995. He is an associate professor at Cairo University. In addition to academia, he publishes articles on the history of Egypt, gaining attention in Al-Dostor newspaper where he calls for fresh readings of controversial topics of Egyptian history. He is author of a number of books, including Toman-Bay and the Story of the 1919 Revolution. Abou-Ghazi's passion for history is likely to colour much of his work for the Ministry of Culture in the coming period. In addition to the responsibilities outlined by Essam Sharaf in his appointment letter, to give importance to building the minds of Egyptian citizens and provide all the cultural activities required to this end, Abou-Ghazi will also be responsible for protecting archeological sites recent under threat of looting. Abou-Ghazi succeeded during his meeting with the prime minister to get back the Ministry of Archeology, after it having been split in the previous cabinet. In Abou-Ghazi’s vision, there is no separation between archeology and culture in its broader sense. Despite some opposition to Abou-Ghazi’s appointment, being “a continuation for the policies drawn out by the previous government and a partner in them, having held posts of responsibility over the last 10 years", there is general agreement on Abou-Ghazi’s integrity and refusal of corruption. Supporters point to his success over the period of his leadership of the Supreme Council in connecting new generations to Egyptian and Arab cultural life. In addition to underlining the Arab regional dimension in Egyptian cultural life, Abou-Ghazi aspires to bring back Egypt’s "African depth" and to regain its focus on the “neglected south”, as he calls it. Abou-Ghazi welcomed those intellectuals who demonstrated during the 25 January Revolution against the ministry’s policies, stating that the Supreme Council is a “house for intellectuals, if they wish to do cultural activities, or if they wish to demonstrate”. I agree with Danny Hall, let the are between and under the Sphinx Paws be investigated. Also, re-open Tut's tomb and the Great Pramid, and work to confirm the prescence of the internal ramp within the Great Pyramid. There could be priceless books/information stored within the internal ramp!! Most importantly of all, re-evaluate the age of the Sphinx and let Dr. Schoch of B.U. back into Egypt. Confirm the use of advanced tools and machines in the cutting of granite at various sites throughout Egypt. There is much suppressed history to be uncovered in Egypt, please get to the bottom of the truth and don't let the world down as previous Egyptian officials had made a habit of doing!!!! Welcome and thank you. Please, sir, let the room in between the sphinx paws be investigated. All the records if the past are there. You will be amazed at what you will discover there. The information there will put your name in history forever. Thank you again. Dr.Abou Ghazi is the best choice for that position, Congratulation for all artists! !